Enjoy living and shopping local. 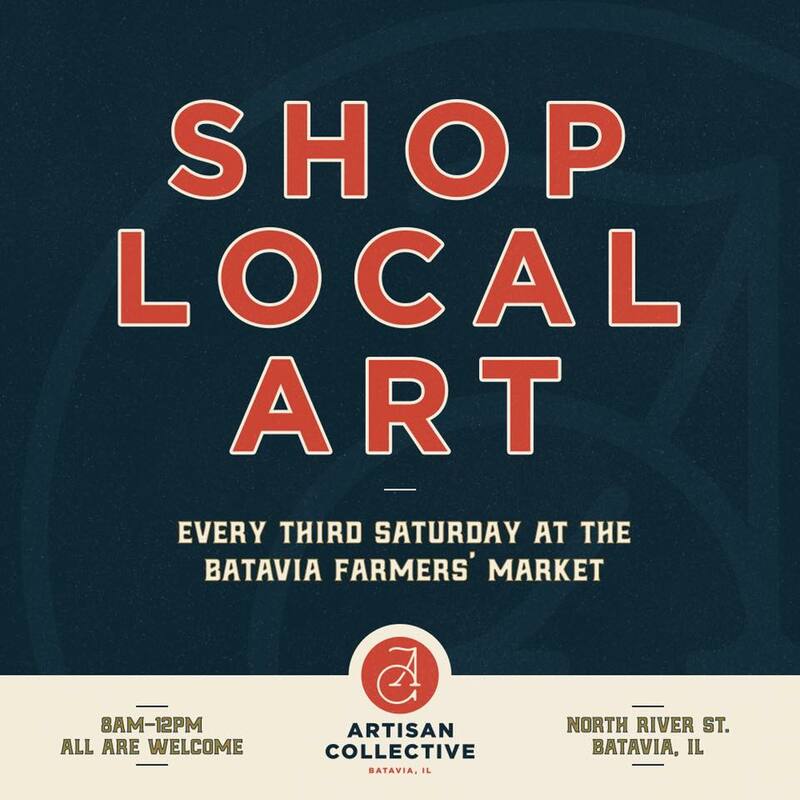 The Artisan Collective Batavia provides downtown Batavia with pop-up market experiences featuring local artisans and supports downtown business. We are proud to pop-up during every third Saturday at the Batavia Farmer’s Market June through October with over twenty artisan vendors. Follow us on Facebook for features of our incredible vendors. The Artisan Collective Batavia is open to vendors in the Chicagoland area and Batavia businesses. We ask that 70% of your booth be handmade by you. We will make exceptions for local businesses and vintage vendors. Feel free to contact us at artisancollectivebatavia@gmail.com with any questions. Click here to signup for our email updates. The Artisan Collective Batavia is 100% volunteer led and driven with all proceeds benefitting Batavia Mainstreet. Whether you are a vendor or a champion of handmade goods we would love to have you join our team. Send us an email at artisancollectivebatavia@gmail.com for more information.